Choo Choo!!! 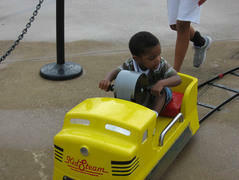 Fun Times Party Rental has your kiddie trackless train rentals for your next event. With 3 different types of trains to choose from you have come to the right place. Do you need a train indoors? We can help you with that to. 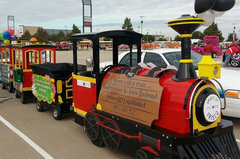 Call us today for your trackless train rental from Fun Times Party Rental. Browse the selections below and click on the image or "More Info" link for additional information and to make a reservation.